Week-end on the upper Buffalo River. 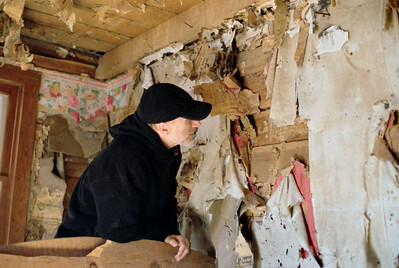 February, 2009. 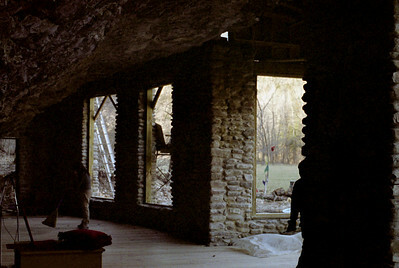 Buddhist temple under construction near Parthenon, Arkansas, February, 2009. 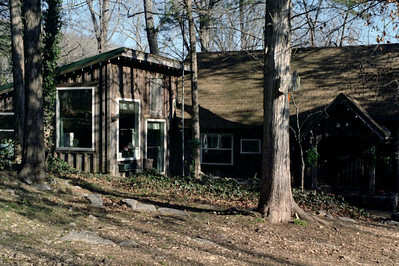 Creek's End Retreat near Parthenon, Arkansas, February, 2009. 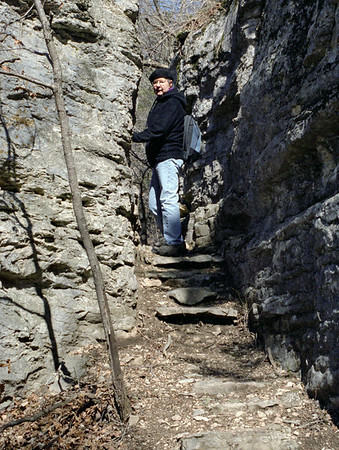 Rita hikes the trail from Ponca to Steel Creek, Buffalo National River. 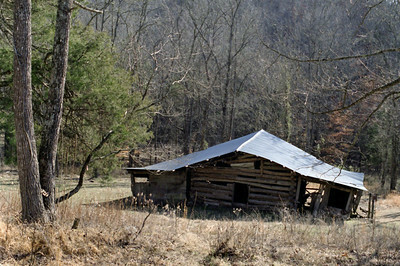 Arkansas, February 2009. 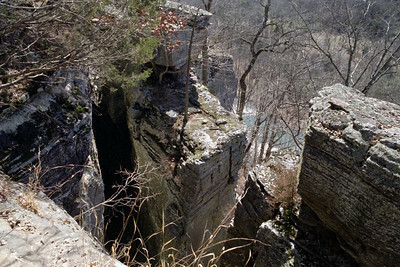 Bluffs, hiking trail from Ponca to Steel Creek, Buffalo National River. Arkansas, February 2009. 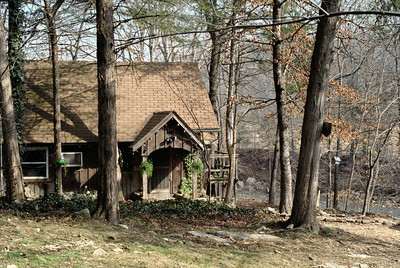 Villinines homestead, Ponca access, Buffalo National River. Arkansas, February 2009. Debbie and Tibetan Monk. 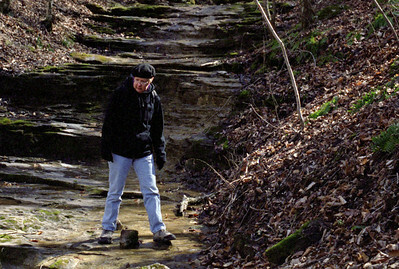 Near Parthenon, Arkansas, February, 2009. Creeks End Retreat near Parthenon, Arkansas, February 2009. 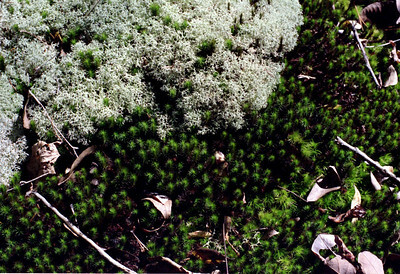 Moss and lichens on the trail from Ponca to Steel Creek, Buffalo National Scenic River, Arkansas, February, 2009. 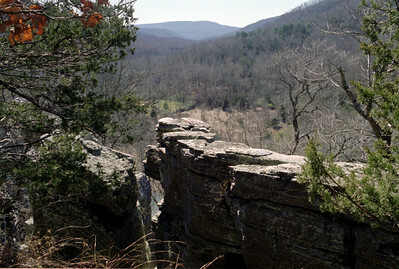 Fissured bluffs, hiking trail from Ponca to Steel Creek, Buffalo National River. Arkansas, February 2009. Rick reads the news, Villinines homestead, Ponca access, Buffalo National River. 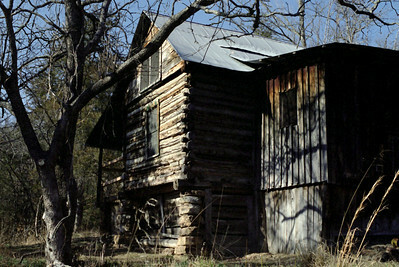 Arkansas, February 2009. 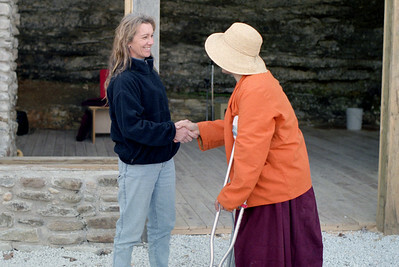 Debbie and Tibetian Monk. 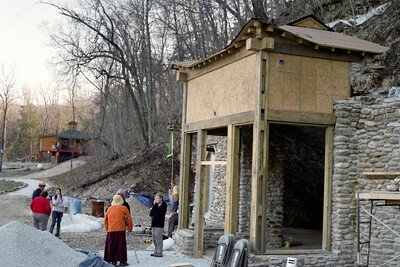 Buddhist temple under construction near Parthenon, Arkansas, February, 2009. Ponca access, Buffalo National River. Arkansas, February, 2009. 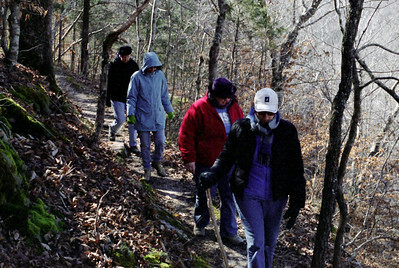 Hikers single-up on the trail from Ponca to Steel Creek, Buffalo National Scenic River, Arkansas, February, 2009. Jane gets emergency shoe repair, Steel Creek access, Buffalo National River. Arkansas, February 2009. 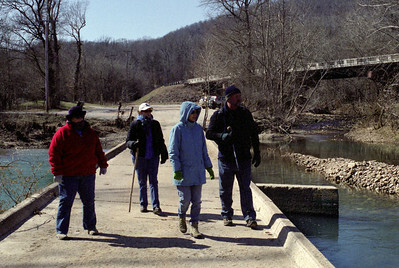 Nancy, Sherry, Jane and John at the Ponca access, Buffalo National Scenic River, Arkansas, February, 2009. 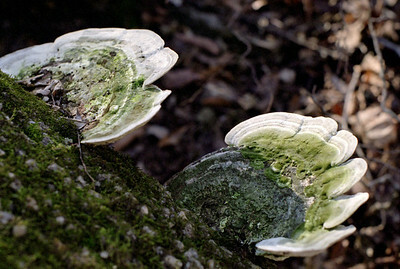 Fungus seen on the trail from Ponca to Steel Creek, Buffalo National River. Arkansas, February 2009. 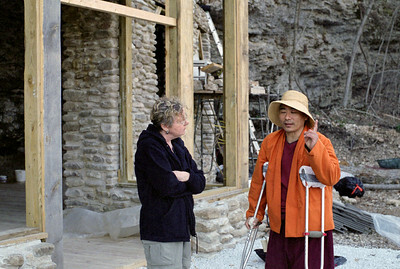 Rita and Tibettan Monk, Buddhist temple under construction near Parthenon, Arkansas, February, 2009. 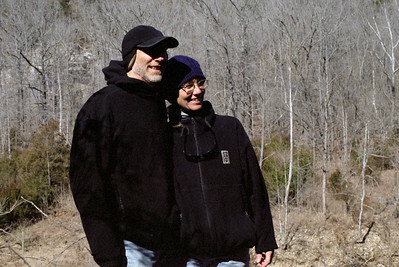 Rick and Debbie on the trail from Ponca to Steel Creek, Buffalo National River, Arkansas, February, 2009. Rita on the hking trail from Ponca to Steel Creek, Buffalo National River. Arkansas, February 2009. 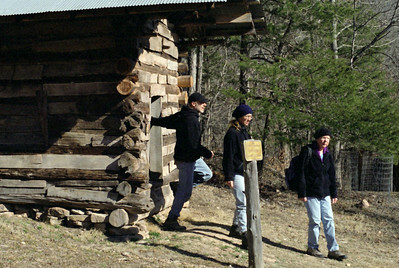 Rick, Debbie and Rita explore the Villinines homestead, Ponca access, Buffalo National River. 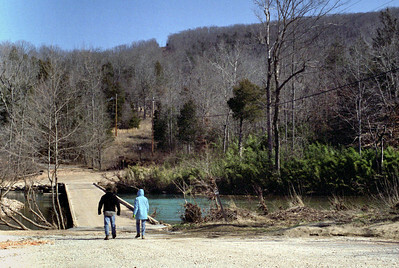 Arkansas, February 2009.